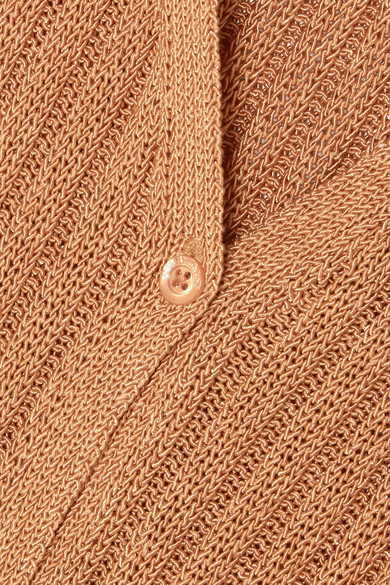 From camel to biscuit, every possible shade of beige flooded the runway this season, which is why See By Chloé's cardigan is a wise choice - the label likens the color to 'Biscotti'. 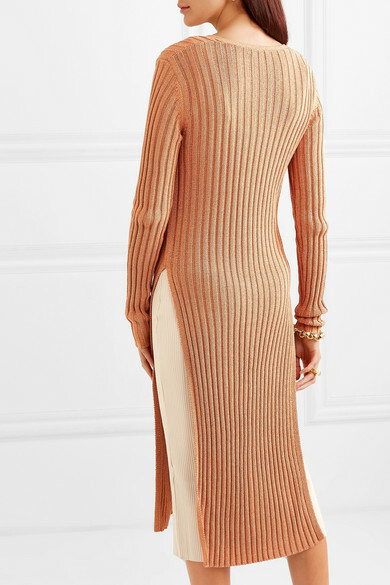 Knitted for a figure-hugging fit, this ribbed piece falls to a knee-skimming hemline with deep sides slits. Wear yours buttoned up over a tonal dress.